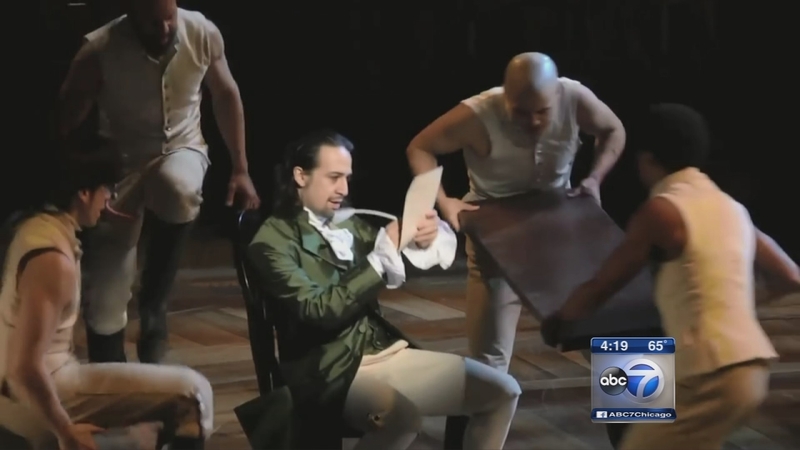 CHICAGO (WLS) -- Tickets for the smash hit Tony Award-winning musical Hamilton's Chicago run go on sale at 10 a.m. Tuesday. Tickets will be available for purchase online at www.BroadwayInChicago.com and Ticketmaster.com, by phone at 800-775-2000 and in person only at The PrivateBank Theatre box office at 18 W. Monroe on Tuesday, June 21, beginning at 10 a.m. There is a limit of maximum six tickets per household. Tickets for the Broadway production of Hamilton in New York are sold out through April 2017.